No it's not a Kawasaki Motorcycle. 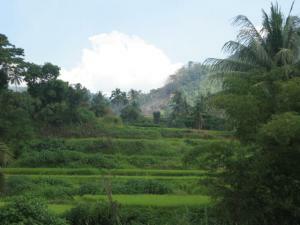 Kawa Saka is a short-term mission run each April in the Philippines. We go by any means (including walking, and riding) to take the story of Jesus to people in their own languages. Imagine This - Over six hundred Tulgao speaking villagers gathered in the remote area of Kalinga province to hear the gospel. Until our team arrived, there had been no Christian witness; the grace of salvation was literally unknown, they had no idea of who Jesus is! They Listened - Our team played the GRN Good News audio recording and the people listened intently. 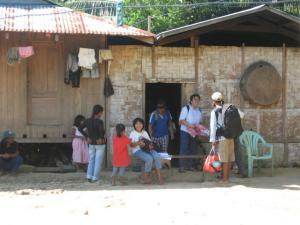 They invited the team to stay another day in the village to share the love of God with them. What a joy for these people to hear the message of salvation, in Christ, in their own language! They Questioned - The next morning the team was invited for breakfast at the home of the mother of the former governor. There were many questions about the messages heard the previous night. One woman from a small nearby village testified that she had accepted the Lord Jesus as her Saviour when visiting the city 3 years before. Back in her village there was no church and no chance to attend church (for there were none nearby). When she felt lonely she prayed and sang praises, and worshipped God, alone. One time she shared the gospel with her neighbours who mocked her, and made her feel like an alien in her own village. The night the team shared the message of salvation through the recordings in Tulgao she was singing, rejoicing and worshipping God boldly saying, "I am a Christian just like them." She was now more encouraged and passionate to share the gospel amongst her people. A New Church Begins - The villagers were astonished at the stories they heard, and the lady's testimony, and gladly accepted the invitation to receive Jesus as their Saviour and Lord. A Place For Worship - The hunger was such that the villagers approached our team and offered them a house to set up a centre, where they want to study the Bible, and learn more about following Jesus. Please consider praying with us for this young Tulgao church, and for a partner church that will be able to respond to their request for further teaching. We praise the Lord for this opening to work among the Tulgao speaking people. GRN And Short-term Missions - The purpose of GRN is to tell the story of Jesus in every language, no matter how small. Recording the message is just part of the process. The recordings must get back to the people. This is the power of GRN short-term missions. Villagers hear the gospel, in their own language, often for the first time. The CDs, picture books and Saber mp3 players left with them reinforce the gospel, and enable them to share it. Communities can listen over and over again to the life changing message, of how they can be made right with God, through faith in Jesus, and how they can grow as Christians. 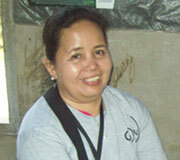 Normie's Note (2011 Team Member) - Normie Mesina has polio and has been a faithful volunteer since Kawa Saka 1 in 2008. "The wonders of sharing the Good News of the Lord Jesus Christ in different language groups is very challenging. I experienced the grace of God and His sufficiency. I thank those who made it possible for us to accomplish a portion of the Lord Jesus Christ's great commission in extending the Kingdom of God to the tribal communities in the Kalinga Province. I am really passionate to be a part of the next Kawa Saka in 2012. His power made me perfect in my weaknesses. To God be the Glory." Maybe you would like to consider joining us on short term mission? Or maybe you know someone else who might? Please contact us for more information, or visit Short Term Mission Opportunities for more details. Frank Caguin reports on KawaSaka 8 (2015), sharing expectations, realities, plans and prayer points.